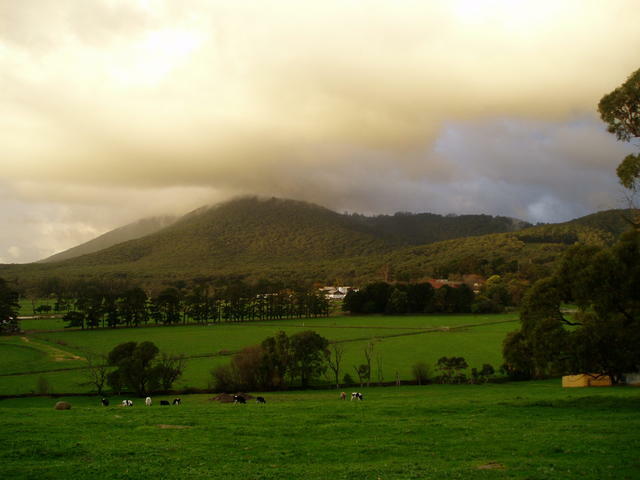 This 60km trip (not really suitable for caravans**), takes the traveler over the entire scope of Mt Dandenong, including the Observatory viewing area on the peak, and a number of great attractions, pubs and eateries in the area. It is possible to do this trip in half a day without any serious stops. But if you like golf, gardens, mountain views, art or generally grazing/relaxing at the many B&B's you could well spend 2 or 3 days doing this itinerary. Note: Please do not confuse Mount Dandenong (the town and mountain) with the township of 'Dandenong' - the latter being a major suburb about 20kms south of this area, and unrelated. To lead you into the starting point and ending points for this round trip we assume you're travelling into the area from the Melbourne side of the hills. Note: You can pick up this itinerary from a number of other angles, including the Silvan Dam Pub Trail itinerary. 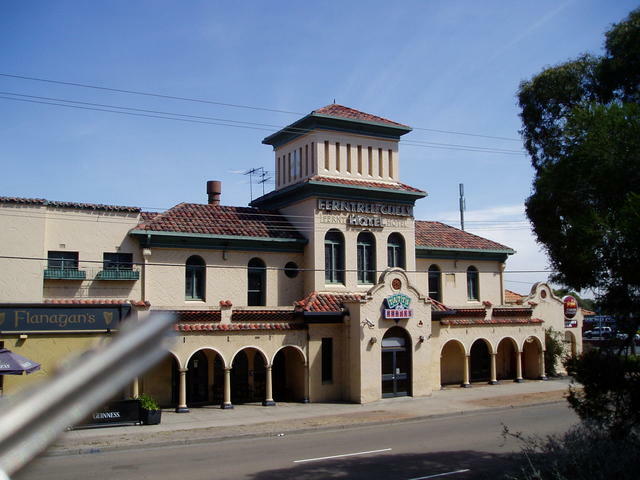 We start with a drive by of the historic Bayswater Wine Centre, which was used from 1899 as a stopover point to rest the horses for the coaches making their journey from Melbourne to Olinda. Presently this local iconic building operates as a bottle shop. It is on the Register of the National Estate with status: Historic, which presents some constraints on what developments can take place - but an interesting local piece of history! Heading up the Mountain Highway to The Basin you will come to the start and end points of the route outlined for this itinerary. 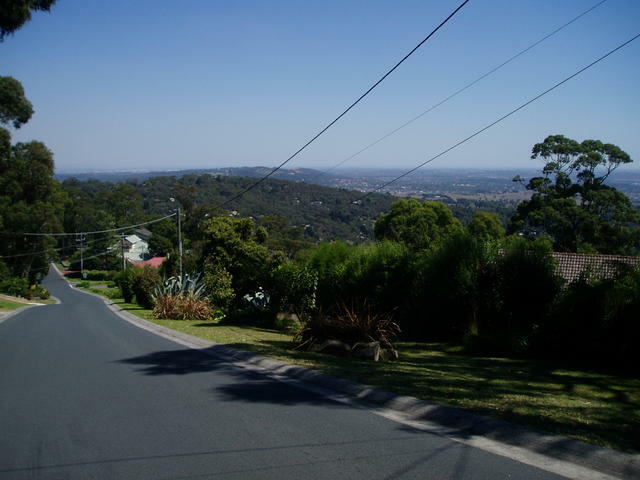 We have placed an emphasis on the utilisation of the Mountain Highway as a recommended route, in lieu of Canterbury Rd, as the Highway winds up through some great views of Mount Dandenong as you ascend up to Sassafras. 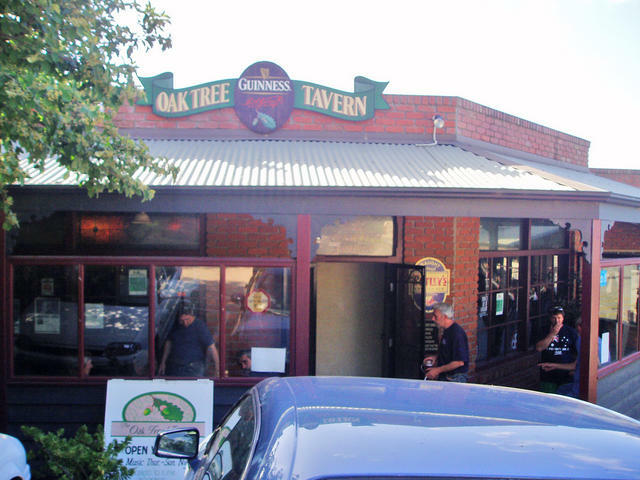 This Pub Trail conveniently crosses the Silvan Dam trail that allows a North-South drive from Lilydale through Belgrave and via Emerald to Berwick. The Lilydale end of that trail leads to the Yarra Valley Wine area and beyond, or Warburton/Mt Donna Buang region - see the Warburton Pub Trail. The Berwick end is great for access to the Princes Highway, or further south into the South Gippsland trail. 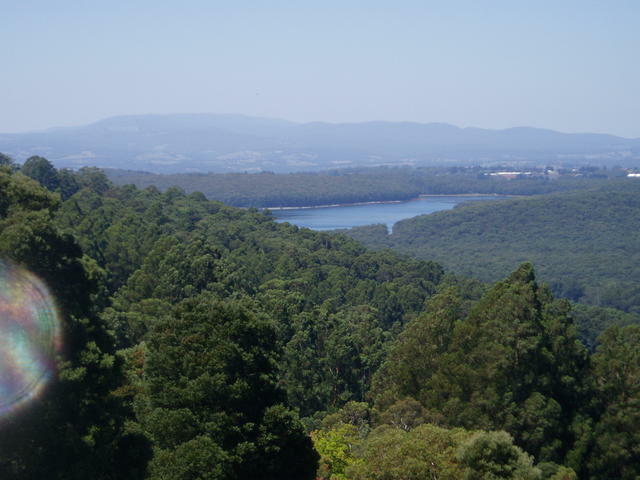 Naturally, if coming in from the east, say from Lakes Entrance, and wishing to visit this area, then half that Silvan Dam itenerary can be done in reverse, up to Lilydale. 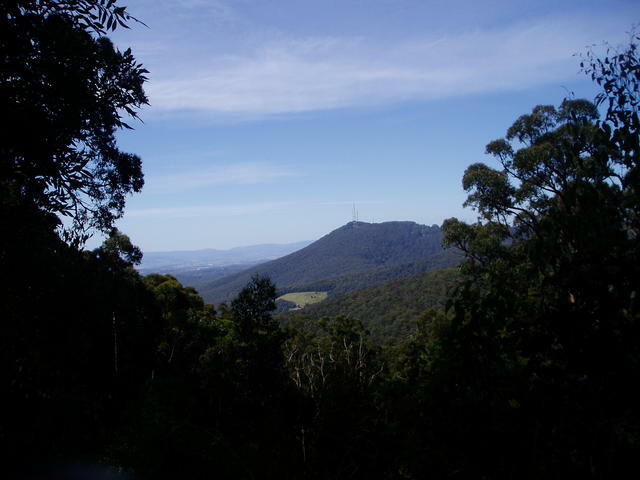 So, all these combined, travellers coming into this area can enjoy this itinerary of Mt Dandenong, without having to travel all the way into Melbourne, which we recommend that you do by catching public transport and then walking the great route we've outlined on the Melbourne Pub Trail. On a good clear day, you can see Melbourne's sky-scrapers clearly, from the observatory explained in this trail. 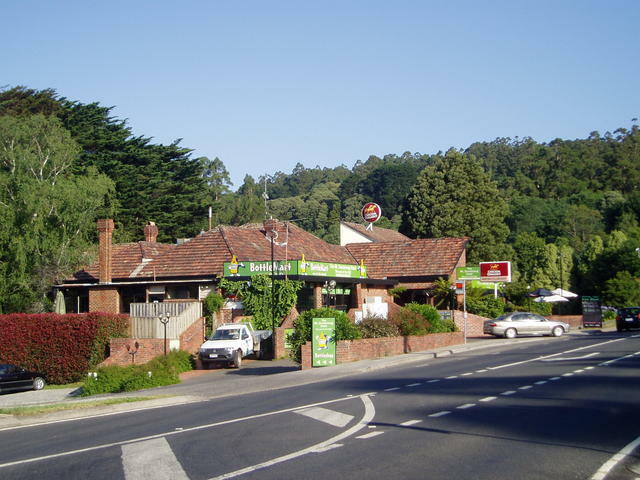 Ideal overnight accommodation is available at many places on the Mount Dandenong, particularly around the township of Olinda - making it a central area for reaching the many attractions, and many of the Pubs in the area provide excellent accommodation - so plan on spending a night or two! 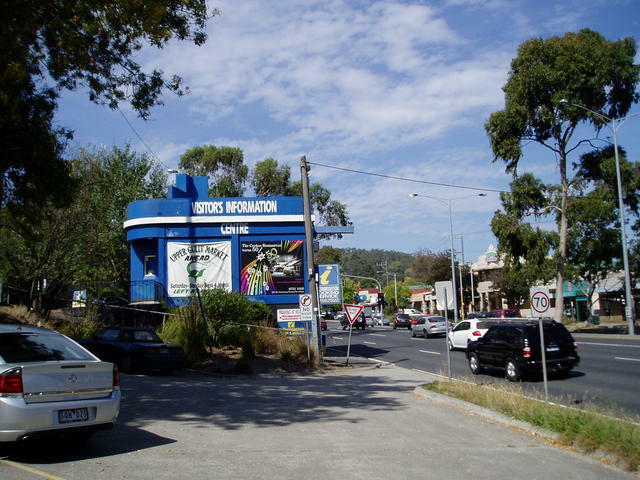 Mt Dandenong is actually where I have lived and worked all my life, so if you have any questions about this local area, don't hestitate to ! Cheers, and enjoy this great area that is only 45 minutes from Melbourne. Come in from Canterbury Rd, Mountain Highway or Burwood Highway from Melbourne - but start at the corner of Mountain Highway and Scoresby Rd. Gazza's spot: (late) Mrs Mortiboy's Wine Centre, now operating as a really convenient drive-through bottleshop - and definitely worth dropping in for a wine fossicking! See Edward! 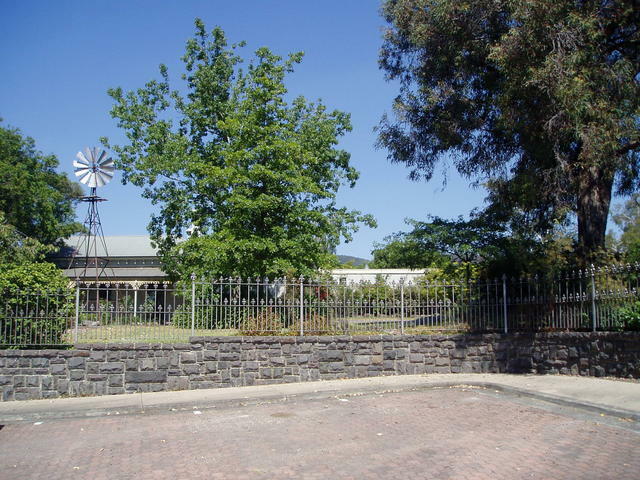 The wine hall stands on land that was part of the 'Dandenong Creek Run', a large cattle property in the 1840/50s. A wine licence in this area was held by James John Miller in his original home in about 1880, but in 1895 the licence was transferred to Michael and Catherine Cronin. After Michael Cronin died in 1897, the licence was taken up by Henry Edward Dodd. It was at this time that the Wine Hall was built by Dodd. 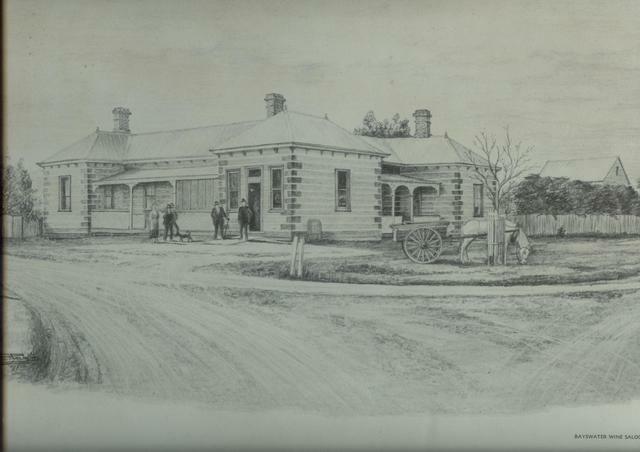 Before her marriage, Catherine Cronin had established a coach service from Bayswater Railway Station to Olinda in 1889. This is the year the railway line opened from Ringwood to Upper Ferntree Gully. After Michael Cronin's death, Catherine married Henry Dodd and together they operated the coach service in conjunction with the Wine Hall. In 1923, Bertram Stringer purchased the Wine Hall and in 1949, Edward and Gwen Mortiboy leased it. 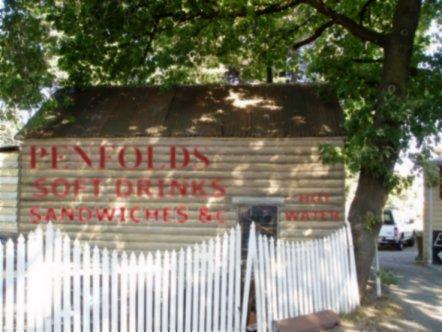 They later purchased the property in 1961, and Gwen went on to run the business up until her death in 2006. Her son, Edward (Jr) now operates the establishment, which is a convenient bottleshop for the locals and passing clients heading up the hills. 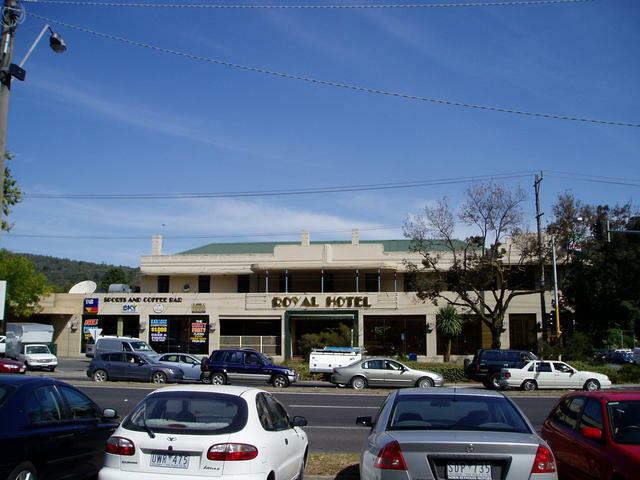 Bayswater Wine Centre, Cnr: Scoresby Rd and Mountain Highway (NE cnr)Bayswater. So many people miss the true beauty of Mt Dandenong, travelling the major highways either side of the mountain (Canterbury Rd or Burwood Hwy) rather than the more interesting and picturesque Mountain Highway. The Mountain Highway commences back at the foot of Vermont South near where the East-Link Freeway passes over Burwood Highway. This was once a great apple orchard area, and some orchardists still exist in the area a little south of that area along High Street Road (Yep: That's its full name!). The Mountain Highway then goes up through Wantirna (through what is called the 5-ways where Boronia Rd, Mountain Highway and Wantirna Rd all met once at the same point.) 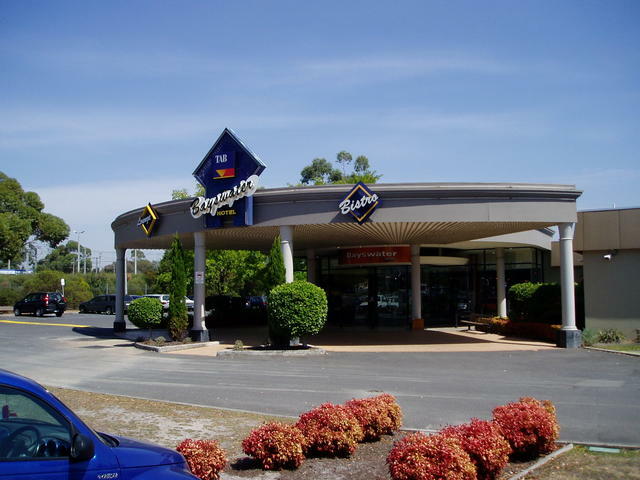 A major Drive-In theatre once existed on this 5-way corner, adjacent to quite a handy Caravan Park, and excellent Mall shopping Centre. 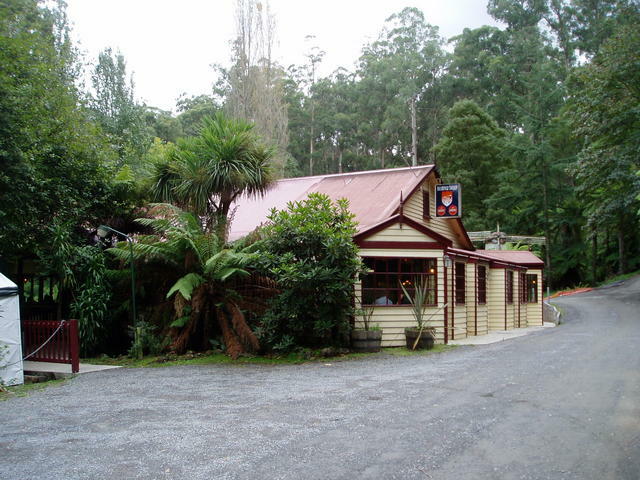 Heading further east, travelling through Bayswater, the Mountain Highway, passes the historical Cobb and Co stopping point at Mortiboy's Wine Bar, and then commences its route up towards The Basin and up the mountain to Sassafrass. Gazza's spot: Lunch in the park, and a stroll over to the round-about in the middle of The Basin to take in the finest view of Mt Dandenong. Miller Homestead, The Basin. 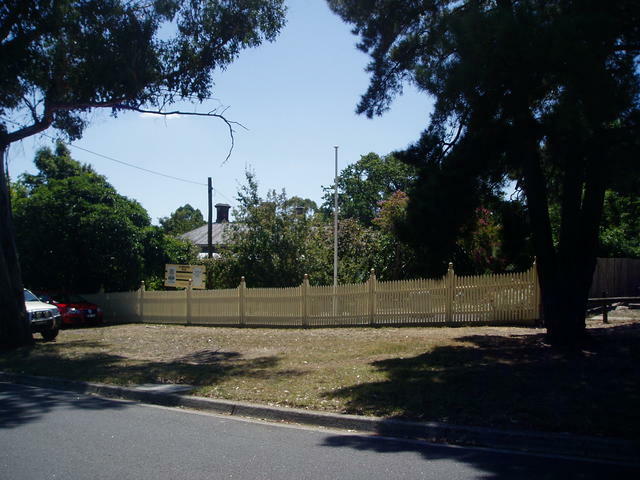 One of the original land holders of the area (J.J.Miller) - currently used for weddings and special events by local council. 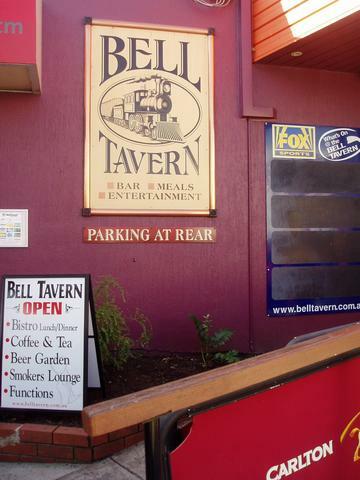 Ideal stop for a nice meal, coffee or ale, whilst travelling up the mountain. Now here's a great place to stop and find out more abut the local area. 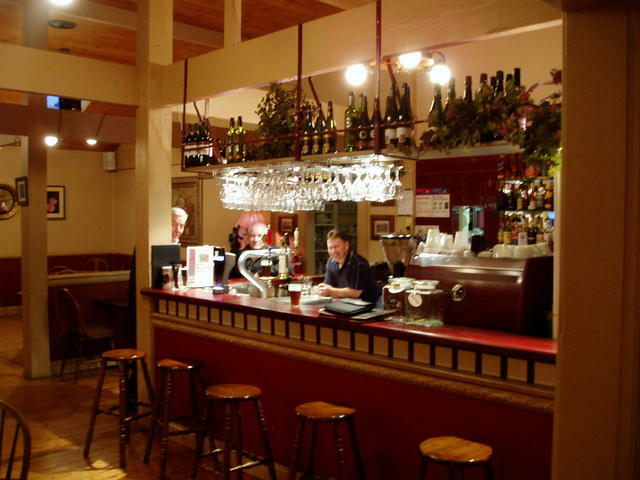 The publican, Mal also provides tours of the area, given enough notice, and has been a keen promoter of the town and the area for some time. Highly recommended..... Gaz! Direction: Left, North up hill. Gazza's spot: hardest golf course to do (did 114 for only 9 holes once!) View to ranges are great! 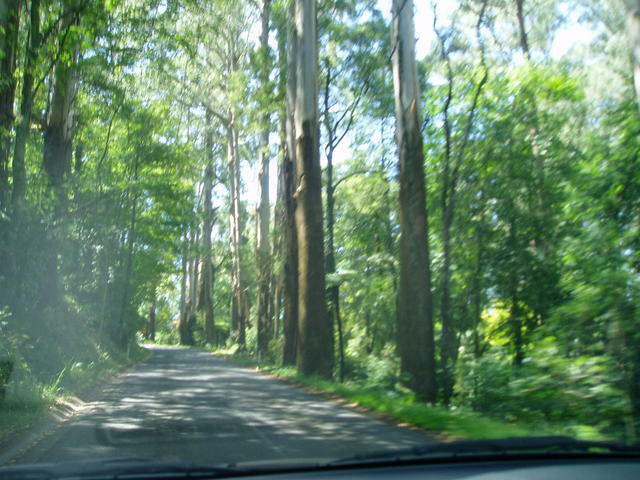 Gazza's spot: Sherbrooke Forest tall trees to the left of the road. Gazza's spot: The former sight of the original One Tree Hill Lookout tower, now a BBQ area at the end of One Tree Hill Rd. 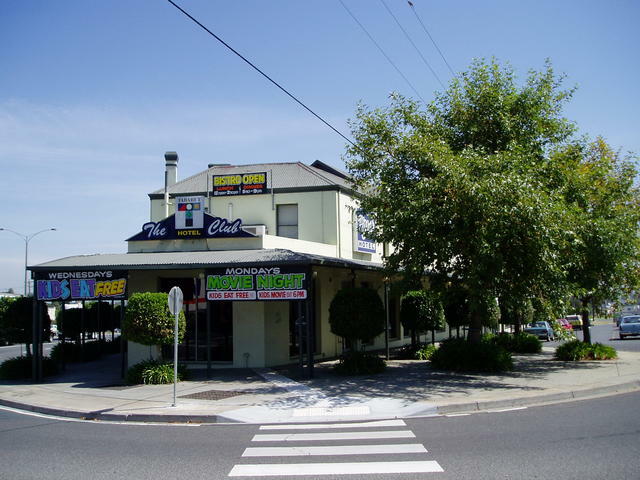 Direction: via Hughes St and Olivette Ave (just cross the Mt Dandenong Tourist Rd for a while, and cut back onto it again at the famous elbow bend on the corner of Olivette Ave.
Attractions: Ferntree Gully National Park. The entrance at the bottom - DO NOT ATTEMPT to enter from the top end: Wheel grates! 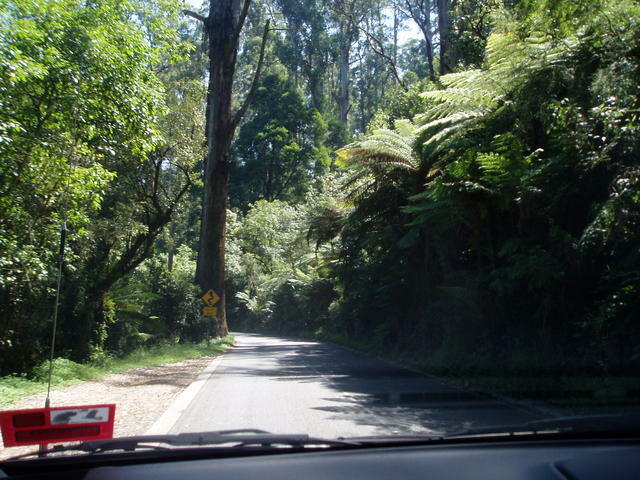 Drive through the tall trees of Sherbrooke Forest as you head towards Ferny Creek, and mount up to One Tree Hill. ** At this point, Burwood Highway can lead you back to Melbourne, OR you can cut across to The Basin where we started via Forest Rd. So, to conclude the loop for this trail, head on to The Basin. Well - that concludes the loop around the Eastern side of the Mt Dandenong Ranges. So set a spell, perhaps enjoy a meal in The Basin, before heading off to some accomodation in the area, like Olinda, Sassafrass (just up the Mountain Highway 10 minutes from here) or back to our suggested pivotal towns around Lilydale or Berwick, where you can plan some time to spend in our other nearby Pub Trails! View the beautiful homes in the hills, before descending down to Tremont where you arrive at a private viewing area that stretches to the Melbourne suburbs below. 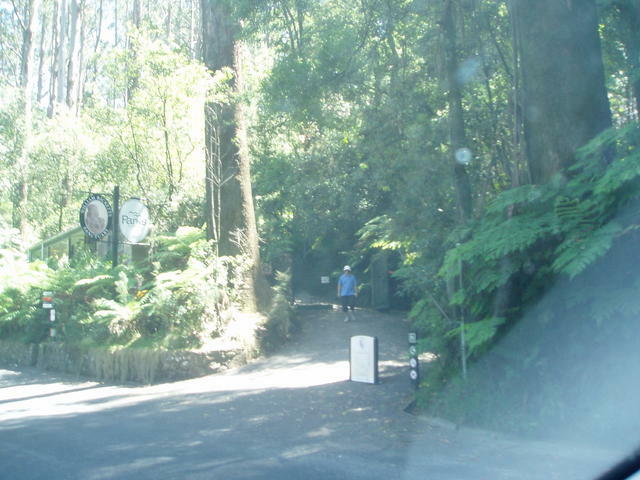 Or head back down Burwood Highway, to Ferntree Gully, and pick up the rest of the original Mt Dandenongs trail.